I’m not sure who HOMMP is, but they seem to have moved from plastic products and into flatware recently. This set of cutlery looks like a good buy for the budget minded who are starting out in a new kitchen. 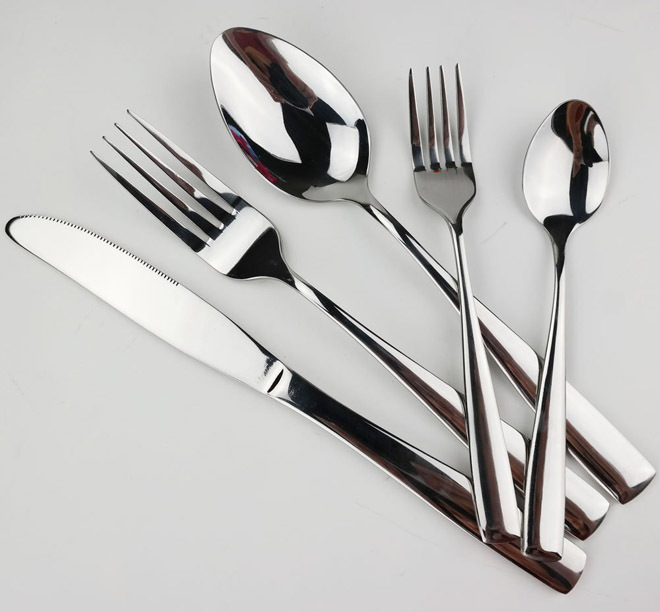 It is a 25 piece flatware set with setting for 5. This includes a salad/dessert fork, a place fork, a place knife, a place spoon, and a teaspoon. Also included is a serving set with serving spoon, pierced serving spoon, meat fork, butter knife, and sugar spoon. Made of the standard 18/0 stainless steel and is considered dishwasher-safe. It’s a really modern look with a very good price.